Are folded in the mantle of her prayer. Today is Good Friday, a day I used to dread. A day for more guilt, for thinking about how I myself put Jesus up on the cross. What a weird thing to think as a child, to consider how my fears and wonderings and sense of needing protection could be construed as sin. Not like all children are angels, but our mistakes are probably not what Jesus was thinking about while he was killed by the state and the religious men, sure of their own rightness. My husband is an abuse survivor. So many of our friends and neighbors come from backgrounds rife with trauma and suffering. Do they need to sit quietly and consider their sins, consider how the blood of Jesus is on their hands? Or do they look up and see someone who suffered just as completely as they did, someone who was betrayed by the people who claimed to love God so much? I myself have not been burned up by the world, by abuse and trauma and suffering. I live shoulder-to-shoulder with it, however, and lately this has been on my mind. I have been in a bit of a slump. I have started to feel like all of the world's needs are on my shoulders. So many unique individuals with so many complex situations and problems are shared with me, week by week. I cannot solve any of it. I can’t help my neighbors and I can’t help my country and I can’t help the countries who are being bombed by my people. I can’t help someone who is trying very hard to graduate high school or someone who wishes desperately they could attend their sister’s wedding half a banned country away. I can’t help find a good job that won’t hurt your back terribly, I can’t create legal pathway to citizenship when they simply don’t exist. I think about all the things I cannot do, constantly. And every once in awhile, something comes across my path that perhaps I can do. Perhaps there are ways to be a stick in the spokes of the wheels of injustice. Perhaps there is a way to get involved in politics, neighborhood associations, city planning meetings, PTA’s. But all of this takes so much time, it is so much work, I don’t know what I am doing, I want other people to do it for me so I can support them. I have been feeling sorry for myself, is what I am trying to say. Recently I read a quote by Albert Schweitzer. “Only a person who feels his preference to be a matter of course, not something out of the ordinary, and who has no thought to heroism but only of a duty undertaken with sober enthusiasm, is capable of being the sort of spiritual pioneer the world needs” This hit me in the guts, because I am finding the need to get over myself. I want so badly to share my unique neighborhood, our blessings and challenges, the minutia of my life, what makes it so different and hard and good. I guess I am back to fighting with my old nemesis, my white savior complex, which I believe is something I will struggle with the rest of my life. But instead of trying to be a spiritual pioneer, I feel the deep need to see those that are already around me, and pray for more to join the ranks. Today, on good friday, there are so many wars rippling under the surface. In the days to come, there will be need more pressing than ever for spiritual pioneers who hold fast to the beliefs that every human being is made in the image of God, and that the only path Jesus has made for us is one of nonviolent resistance rooted in self-sacrificial love. We must be anti-war, anti-death, anti-terrorism, anti-greed, anti-white supremacy, anti-nationalism. We must see how closely aligned we are with those who are being bombed or gassed, how we are all equally beloved children of God. 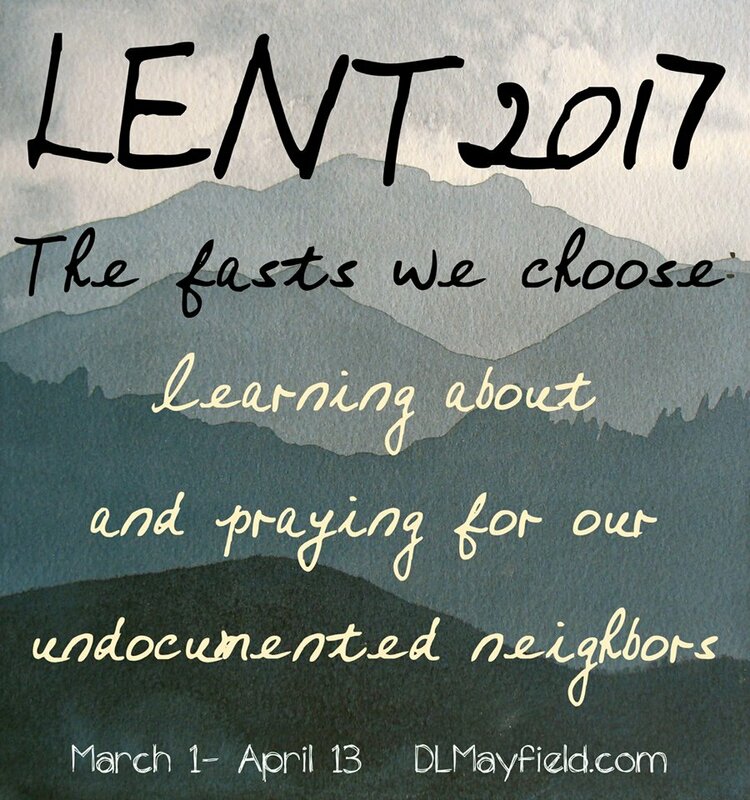 This Lent I chose to immerse myself in the stories of my undocumented neighbors. I learned more about their suffering than perhaps I would have liked, because it revealed truths about my country and my own complacency that are so hard to reconcile. But through these stories my heart has cracked open wider. I always like to say I discovered God through my neighbors, and this is still certainly true. The spiritual pioneers our country desperately needs are already here, in the immigrant communities that serve us as a country. They are suffering, just like Jesus, under an unjust system. And yet they still believe, still have hope, still persevere. Even though it is a day that is supposed to make me sad, I am already on the other side of good Friday. I already see how once you have had parts of yourself killed off, how this day is more about solidarity, about the most glorious picture of a God who loves and suffers with us. Today, on good Friday, I feel a weight being taken off my shoulders. Because I believe it. I believe in this great love which descends into hell and liberates the prisoners, which sees all and which will redeem the world. I believe in it not in spite of being close to suffering but because of it. Forgive me this little sermon. It is always hardest to write about the things that are closest to our hearts. I think I am trying to say thank you. Thank you to Jesus, my bruised and battered brother. Thank you to my neighbors, especially those who are undocumented, for your example to me. Thank you to you, my readers, for joining in. May you be blessed today, may we all be enfolded into the love of God. I'm going to cry if I write about Jesus today. The day we wave palm branches around and pretend he is our king, just like they did so long ago. But really we long for retaliation, for power, we long to make ourselves safe, we long to conquer death on our own, we long to forget our responsibilities to each other. Jesus brought a fire that divided, he brought the fire of neighbor-love and a kingdom without borders, a call to a life based on thousands of willing deaths and thousands of miraculous resurrections. And we killed him for it. There is a man who grew up in my neighborhood, who runs a food bank so many of my neighbors use. I have not met him, but I have been touched by his life and work, even though he is so young. A few weeks ago he was arrested at his house by ICE. Due to a large outcry, he was later released on bond. He awaits his trial, which could be a year or two in coming. He did everything he could--applied to DACA, checked in with immigration--and yet there is hardly anything that can be done for him. The US has so few paths to citizenship (marriage to a citizen being one, or a family member applying for you--which is backed up at ten years waiting time or more). Isn't this so cruel? And yet, Fransisco has faith. His community perseveres. I am surrounded by people who know intimately how bad the kingdom of the world is, the way power always tramples on the people who need it the most. In Oregon, there are estimates of 130,000 undocumented neighbors. I love them, even as I profit off of their vulnerabilities in status. They cook the food I eat in restaurants, they pick my strawberries and blueberries and tomatoes, the drop off their kids at school with mine. Without them, our economy would collapse. They pay taxes and they do not reap the returns. They are constantly sowing into our communities and country, and yet they are the first to be betrayed when it comes time to make a political show of power. I used to feel so sad for Jesus, on palm Sunday. He knew what was coming, didn't he? But then I got older, and I met so many people who have suffered, been tortured, watched family members die, be torn from their communities. Jesus, fully God and also fully human, met all of these people too. When he rode that donkey down that road, as he watched people pledge allegiance, as he knew how quickly it would all change, he did it for them. He came to show us that God doesn't punish us. He showed us that God suffers with us, and enters into it willingly. That is the direction Jesus is always going. Do we have the faith to follow after him? I was reading this lenten devotional about today, how Jesus references the sign of Jonah. How Jonah was a messed up man who experienced the strangest of resurrections out of the mouth of a fish. It made me realize how nonlinear the invitation to suffering really is in this world. Sometimes I imagine that delving into a topic like immigration in America is almost a form of penance--the horror stories, the human rights abuses, the large-scale injustices, the current waves of fear and hatred. But it is also beautiful, and invitation to be swallowed whole and spit up on the shores of life very different than when you started. It is an invitation to be reborn, complete with sharper ears and eyes for what God might actually be up to in your own heart, and in the hearts of your neighbors. "As you pray this week, consider what the sign of Jonah might be pointing you toward. What in your life is being “storm-wrecked, drowned, swallowed whole, and vomited up”? Or might need to be? In the Communion Prayer, we ask God to forgive us “for all the ways we diminish the meal for the ways we guard against your mercy and withhold it from others, for all of our misplaced and displaced desires that have caused so much harm.” This hasn’t been an easy course of the meal to digest (just ask the creature who swallowed Jonah!). Are you able to discern, however, something of the presence of Christ and the movement of the Spirit in the hard places in your life? In the life of your community or the people you serve? Receive with openness what God might have to offer in this most significant week in the rhythm of our spiritual life together." The following is an interview between my good friend (and neighbor) Lindsey Boulais and her co-worker Nancy. After serving in the Philippines for several years, Nancy moved into a low-income immigrant community in Central California. For more than a decade, she has worked alongside her neighbors to see change come in their lives and in their neighborhood. LB: What do you wish people knew about those who are undocumented? ND: So much! Basically I wish people knew that so much of what they hear are really myths and not the truth. For example, there is no "line" for legal immigration to get in. Also, undocumented neighbors pay taxes, contribute to our culture and society in their food, businesses, educated minds, etc. There is a long list printed somewhere of the myths about those who are undocumented. I wish people recognized that most of their negative beliefs are really myths. Also, I wish people realized that most undocumented neighbors do not want to cross the border because they are in love with America, but because they want to feed their family and keep their family safe. Hunger and violence do a lot to propel people across the border. It is not out of a desire to live in America. The youth I know who came over as very little children did not want to leave their grandparents, did not want to leave their dog or friends. They had to come. What have you learned about God through being in relationship with immigrants? I think I have learned that God is way more gracious than we are. I’ve been thinking a lot lately about the places where we start this discussion. If we start on the side of the law, we end up with one conclusion. If we start on the side of humanity, we end up somewhere else. I think God is on the side of humanity. In the garden of Eden, Adam and Eve clearly broke the law. There wasn’t immediate banishment or eviction. There was relationship first. God still went to the garden in the cool of the evening to look for them and walk with them. He listened to their story first! He provided clothes for them that would last longer than the leaves they had sown together, and then there was the consequences and the removal from the garden. Also if you look at Jesus, he always stood on the side of the person versus the side of the law. He healed on the Sabbath, he stood with the woman caught in adultery. This isn’t to say that we dismiss the law, but we look at it from a more humane side. I could say a LOT more on this . . .
Immigration is a complicated process. What are some of the barriers facing immigrants applying to the US? It is super complicated and I don’t know everything. However, I do know that money is often a huge barrier. People fleeing poverty have to pay a lot of money to a coyote to cross the border and then when they get here finding work can be difficult and most continue to live in poverty for at least a generation or more. Finding money for the legal process is hard. A friend of mine was working through the DACA process, there was lots of paperwork that had to be submitted, creative ways to prove she was here in the US after she graduated high school but couldn’t work. Paper work, time, energy, money, ability to face disappointment and setbacks and keep going. There is just absolutely no legal way for most people I know. I have 2 good friends and both came to America as children, one from Mexico and one as a refugee from another country. Both as youth got into legal trouble with gangs and prison time. Both have come to know and love Jesus. Both serve in full-time ministry doing amazing things I could never do. Both are married with children and have stable lives and bless our city in ways too numerous to mention. Both are on the list for deportation. Both have sought out legal counsel with immigration lawyers and criminal lawyers. Both have been told there is nothing they can legally do to fix their situations (each for different but super complicated reasons - but basically there is just no way for either of them). So they continue to live and thrive and work for the peace of our city, and we pray against their deportation. What happens when someone is deported? It is horrible! As soon as someone gets caught by border patrol crossing over or by ICE they get thrown in a detention center which is literally a prison. Most will go before a judge for a trial to hear their case. A friend of mine called the trial a "charade of justice." Based on the judge and the court, they could be put back in the prison, (I mean detention center,) for a month or for two years. Most of the detention centers are for-profit, so there is a lot of motivation to keep the beds filled ($160/bed/day)! When they get deported they are released on the Mexico side of the border. They have nothing or mostly nothing with them. They feel like failures. They were not able to provide for their families in their own city or country of origin and couldn’t get work in America. It is really hard. (note from DL): I'm grateful for Nancy and her honest assessments of what she sees going on around her. This season I have learned so much about the ignorance that most of America has when it comes to the situations, circumstances, and sufferings of our neighbors who are undocumented (and the lack of options available to them to become legal citizens). I will be thinking about Nancy's answers for a good long while, and I hope you do too. I am still reading the stories, still letting them sink into my bones. This Lenten practice has been so hard, and so good for me. There are so many things to be upset about, so many issues I want to engage with. But it always comes back to the people. My neighbors, be they near or far. Am I listening to them? Am I allowing their stories to change me? I have been heartened to see and hear more coverage in regards to the Christian response to our undocumented brothers and sisters. Today I would like to highlight some of these readings, in the hopes that you will take the time over the weekend to read them and reflect. "When I was a missionary in the Philippines, I witnessed what I perceived to be incredible, ongoing heroism from believers living under a dictator. And I began to understand that their example was not necessarily incredible, ongoing heroism but the Christian life. We just are very soft, and we struggle to carry our crosses. People everywhere else in the world and throughout the ages know a lot more about that practice than we as American Christians do. But God is faithful, and our spirituality is deepened as it’s tested like gold." "Immigration in the United States today presents a challenge to American Christians. The biblical message is clear about how we are to treat immigrants, but the Bible also implores us to respect law and this creates problems in relation to unauthorized immigration. It is possibly most helpful to remember that the whole world belongs to God. National boundaries, while useful for ordering society, are not part of God’s good creation but, rather, have emerged over time. God gave the whole world to the descendants of Adam and Eve, and God is working across those borders. People who cross national borders to flee from poverty and danger today are seeking the same things as earlier immigrants – opportunity and safety. They are our neighbors even if not authorized to be here, and they are in need. They are loved by God, and we can show that love to these new neighbors. The government of the United States needs to form appropriate policies to support national interests, but those of us who follow Christ can see a bigger picture – one of humanity and of the need to share and show the love of Christ." Here is Russell Moore, president of the Ethics and Religious Liberty commission (and everybody's favorite or least favorite southern baptist) writing about immigration a few years ago. I think it is a great response: "I’m amazed when I hear evangelical Christians speak of undocumented immigrants in this country with disdain as “those people” who are “draining our health care and welfare resources.” It’s horrifying to hear those identified with the gospel speak, whatever their position on the issues, with mean-spirited disdain for the immigrants themselves." And here is Noel Castellanos, president of the Christian Community Development Association, writing about why the recent executive orders targeting immigrants is profoundly violates the principles of faithful Christians. It is also an excellent look at how widespread and damaging these policies are. I hope to read more of these types of articles in the coming days. I hope to hear more and more Christians speak up about this issue, and specifically about how unjust and inhumane the recent policies regarding mass deportation are. This took about five minutes of my life and was sent to my two senators and my state representative. Easy peasey--So this weekend, find a way to contact people in power and advocate for our undocumented neighbors. If I can do it, then truly anyone can. As always, if you have any articles or resources or apps to share, please do so in the comments. Thanks for journeying along with me this Lenten season. Last night a few of us got together to pray for refugees (I brought up undocumented immigrants as well, because of course) and it was very good for my soul. I wanted to share a few of the prayers here, as well as some Scriptures we prayed through (thank you Erin, for putting this together!). I did the first part, guiding us through praying/reading Isaiah 58 and starting with repenting and lamenting. It is funny how bad evangelicals are at this. Everyone wants to rush straight to good news--we are sad, but God is in control! Everything is terrible, but it is covered by the blood of Jesus! Yes, yes, I know . . . but can't we just sit in the sadness for a moment? To me, that is what these times require. To sit and feel the lament, at least for a bit. Sometimes when I am around Christians who use a lot of Christian language I feel lonely. Do they not know their words sound like gibberish to people who have real and present needs now? What does it mean to wait on God when the world is falling apart? What does it mean to evangelize someone when people are dying of starvation? This may seem like a weird tangent to go off on, but it is all connected. It is bringing me to my main point, which is this: the Bible is not a book of Christianese. We have turned it into such, sadly. Or maybe I just heard bits and pieces of it too much, so they lost their sheen, lost their context--which is a bloody, messy, horrible world full of extremely messed up people who ended up being used by God anyways. As such, the full expression of humanity is on display, constantly. The Bible was written by traumatized people who were trying hard to believe in a good God in a very bad world. The action step for the weekend is this: pray. Take a few moments to thoughtfully meditate on these Scripture passages or creeds or prayers. Keep your suffering brothers and sisters close to you, your neighbors who fear for the ends of their lives and livelihoods due to their immigration status. Better yet, find a ground of people to pray these prayers with! Merciful God, We entrust to you all those who have made this journey, enduring fear, uncertainty and humiliation, in order to reach a place of safety and hope. Just as you never abandoned your Son as he was brought to a safe place by Mary and Joseph, so now be close to these, your sons and daughters, through our tenderness and protection. In caring for them may we seek a world where none are forced to leave their home and where all can live in freedom, dignity and peace. Merciful God and Father of all, wake us from the slumber of indifference, open our eyes to their suffering, and free us from the insensitivity born of worldly comfort and self centredness. Inspire us, as nations, communities and individuals, to see that those who come to our shores are our brothers and sisters. May we share with them the blessings we have received from your hand, and recognize that together, as one human family, we are all migrants, journeying in hope to you, our true home, where every tear will be wiped away where we will be at peace and safe in your embrace. ‘Why have we fasted, and you see it not? Good and gracious God, we thank you for the gift of families. We are grateful for all of the joy and love that they bring into our lives, and we ask that you provide special protection for all families, particularly those who face hardships as they move in search of a better life. Show mercy to those who travel in danger, and lead them to a place of safety and peace. Comfort those who are alone and afraid because their families have been torn apart by violence and injustice. As we reflect upon the difficult journey that the Holy Family faced as refugees in Egypt, help us to remember the suffering of all migrant families. Through the intercession of Mary our Mother, and St. Joseph the Worker, her spouse, we pray that all migrants may be reunited with their loved ones and find the meaningful work they seek. Open our hearts so that we may provide hospitality for all who come in search of refuge. Give us the courage to welcome every stranger as Christ in our midst. We ask this through our Lord Jesus Christ, your Son, who lives and reigns with you and the Holy Spirit, one God forever and ever. or fret about their wicked schemes. Obviously, I haven't been posting every day like I had originally envisioned. I can't imagine doing that going forward, either--but I hope to post to links and resources at least twice a week until the end of Lent. The thing is, this is an incredibly heavy topic. Not to mention all the complexities involved. And it is impacting my real life and my neighbors in really big ways. I will share that at my daughter's school (which is 57% Spanish-speaking) we cannot advertise any sort of informational night when it comes to immigration for fear that ICE will target the event. This is my world. This is your world, too, no matter how far away you might feel from it. I have become deeply immersed in this book. Sometimes the stories are so troubling and so sad that I have to sit down and cry for 30 minutes. This is not hyperbole. One of the reasons that these stories impact me so deeply is because so much of it takes place in restaurants, factories, and fields of MY country. The human rights abuses, the continual de-humanizing, the fear that people face . . . all so that they can work and support their families. My life is propped up by their sacrifices, and my country created policies and laws that ensure that they will work in sub-human conditions due to their lack of ability to get papers. Papers. That's it. That is all that separates me from them. Don't you feel how thin the veil is that separates the perpetually suffering from the blissfully ignorant? It seems almost see-through to me these days. Please read the stories from Underground America (and other places) yourself, and see if you don't find yourself as shaken as I am. Here is an NPR interview about the book, and I will copy and paste two short excerpts below. Polo comes from a small town in the state of Oaxaca in Mexico, and speaks both Spanish and Zapotecan. He worked for a subcontractor to a subcontractor to a subcontractor to Kellogg Brown and Root—which until recently was owned by Halliburton—cleaning up the Seabees Naval Construction Battalion Center in Gulfport, Mississippi after Hurricane Katrina. We went down to Mississippi to the Naval base at Gulfport, and started to work. Our job was to clean all the mess—the houses, the trees, everything—all that the wind had damaged, had destroyed. We collected all the trash from the streets. We cut up the fallen trees, piling them in one spot. This is the type of work we were doing. It was a big, serious disaster, and there was so much cleaning up to do. The bolillos, the white people, drove the machines. We were more like the helpers. There were other people living on the base, black people. They were people who had lost their houses. They were like refugees. I imagine that the black people went to work, but with their own people, with people of their same race. We were pretty separate in our work. We returned to our cots at about seven at night. We slept there, in an airplane hangar on the base. We weren't allowed to leave the base at all because the poyeros—human smugglers—guarded us strictly. They would charge us if we wanted to go out. Once all our debts were paid, then they said we could leave. Our boss kept a notebook with our names and all the records of our hours. We'd been promised eleven dollars per hour. We worked every day—Monday to Monday—and the first three weeks we weren't paid at all. When we complained about this, the bosses would say, "it's fine, don't worry. I'm going to the bank right now." Then they would come back and tell us that the bank wouldn't give them the money, that we would have to wait. That's the excuse they gave us. After two weeks, they started to take away some of the cots. We were totally taken aback. Some of us had to sleep outside. We didn't know what to do. We worked it out according to who needed the cots most. The people on the floor had some blankets, but that was it. There was intense heat during the day and intense cold at night. Well, then the boss disappeared. We tried to find her so we could get our checks, but she was gone. After three days, the military men came. They spoke to us in English. As they were soldiers, they had their guns. They came up to our cots—the few cots that we had—and took them. Then they shut off the bathrooms. And they took us out, like they were cleaning out the base. After that the group of us stayed next to the cemetery, under plastic tarps. I felt so sad. I hadn't been paid. I had nowhere to go. I didn't know where they wanted me to go, what they wanted me to do. That's what I was thinking: What am I supposed to do now? I thought about my family because they were thinking that I was earning money, and there I was, without work, and without any payment for the work I had done. I really wanted to go back at that point. My idea was to get to Mississippi, to start working, and to earn money to send to my family. I thought that here it would be easy to earn money. I couldn't imagine this kind of humiliation. Yes, humiliation. They humiliated us. Rose was born in Beijing, China in 1965 to working-class parents. She married a laborer and graduated from nursing school in 1989. She remembers attending many of the student lectures in Tiananmen Square. In 1990, she gave birth to a son and named him "Sunrise." After divorcing her husband, Rose found an opportunity to come to the United States and make a better life for her child, then nine years old. By way of San Francisco, she went to Chicago to stay with a friend who got her a job waiting tables at a Chinese restaurant. There she met her boyfriend, a cook, whom she would later follow downstate. Surrounded by corn and soy, Galesburg, Illinois lies between the Mississippi and Spoon Rivers. When I arrived in Chicago, I wandered the streets of Chinatown, which didn't seem strange to me. It was clean and prosperous, just like Beijing. Lots of merchandise in the windows. I thought I would learn English and then apply for nursing school, but I had debts to repay. So I changed my mind and went to work at a restaurant in Chicago. Working in a restaurant is simple physical labor. Although the restaurant was owned by Chinese, these Chinese were from a different region, with different customs and dialect, which made things hard. I missed my family and friends and often wanted to cry, but didn't dare in public. One time a cook found me crying during a break. When he saw me, he tried to console me. He took care of me and we became close. We started to date and have been together for eight years. Before, we laughed together more. Now, we are silent more. Now that we live in Galesburg, I work in a different restaurant but it is all the same. The pressures and monotonies of work and lack of social activities in this town make me feel like I will go stir-crazy. I love to watch television when I'm not working. I cry with the people on TV and sometimes my eyes swell up from the crying. The tears on my cheeks feel warm and I think it's relaxing. It doesn't seem normal. I wonder what I will be like eight years from now. Will I be insane? I worry. Did I do the right thing? I left my son and everything I love back in China. My parents are more than seventy years old and every day they hope for my return. Whenever I think about them, I think I couldn't face them. When I was little they went to work every day, came home, cooked, and did laundry. My mother did physical labor, loading and unloading crates. Every day she came home stressed and tired and still tended to our needs. During the New Year, she bought cloth and made clothes for us under a single light bulb. She sewed one stitch at a time and it took her a month. I didn't understand and complained that the clothes were ugly. When I think of this, I feel embarrassed and full of regret. My son is growing older and getting more and more distant with me. On the morning he was born in 1990, the sun rose bright in the east so we named him "Sunrise." I had great ambitions for him. I wanted him to be like a dragon! I wanted him to be outstanding. I tried to teach him to be virtuous, like my father. He was bright and remembered all the stories and fairy tales that I read to him. But before he was big enough to understand, I had already gone. God, be merciful to us, those who have willfully turned our eye to the oppression that we demand. God, be with those who suffer, even now, under our unjust laws and our unequal societies. This was a bad week. I had terrible headaches, and it rained so, so much and my kids woke up at 5AM (they are good little Muslims my friend likes to joke with me. your children love to wake up so early so they can pray). Yesterday I wanted to make my bed into a den and not come out until everything was better. I bought a candle at the grocery store, the one where all the families with budgets to stretch shop. I am grasping at ways to connect to a good God in a world that is very bad. I think about how in the Scriptures it says that God listens to the cries of the oppressed. I think some of the most important prayers are coming from my neighborhood these days, the kids and mothers and fathers longing for safety, longing for justice. I have decided on the darkest days, to light this candle, the ones made in bulk, Jesus with his heart on his chest. I want to have my own prayers join all the others going up around me. On this candle it tells me that Jesus is especially on the lookout for those who are weary and heavy laden. His favorite people are the depressed and the sick and the sad and the scared. Jesus loves me, even as I can hardly believe it, even as I make another dinner for my kids and wipe down the perpetually dirty counters and listlessly scroll the bad news on social media day after day after day. I lit the candle yesterday as an act of prayer, to make it more like a verb on the days where I can hardly do anything of importance. It smelled so good. It smelled like church, in my own living room, for a few glorious moments. Today is a better day. I hung out with women from six different countries. We drank terrible coffee and ate donuts. The sun came out. My head feels better. But there will be other bad days, moments of despair, valleys of unknowing and shadows of death and displacement. And when they come, I will light my candle, I will join a chorus of prayers continually ever wafting their way to the heart of our very good Father, confident that I will be heard, because Jesus loves us, and we are so very burdened these days. buy a candle at the local grocery store/tienda/dollar tree. light it and pray for our undocumented neighbors, or any neighbors who might be feeling afraid these days. These were my exact thoughts when Billy - my boyfriend from Guatemala - told me on our third date he was an undocumented immigrant. I assumed it was a paperwork issue, like neglecting to update your driver’s license when you move to a new state. I figured he just needed to take a half-day off work and go to an embassy or someplace and get it all straightened out. In fact, I will rival anyone for “most awkward DTR conversation” when he finally told me the only way he could, in fact, “fix” his papers: marry a U.S. citizen. I was stunned. Is it uncomfortable to talk about the legal ramifications of your potential future marriage when you’ve been dating about two months? Why, yes it is. But Billy felt strongly that he wanted me to know the full situation and its implications as soon as possible. Then, he immediately suggested we break up because he didn’t want me to be concerned about his motives. My, that escalated quickly! Not every undocumented immigrant crossed the border or was smuggled into the country. Billy did not cross the border. He flew into Los Angeles on a plane with a legal visa to enter the U.S.. So what happened? His visa expired after he’d been here six months, but he remained. I’ve often heard that approximately 40% of undocumented immigrants in this country entered legally, but a recent study puts it as high as 60%. Blood: A U.S. citizen relative applies for you to gain status. Priority is given to husbands and wives (yep) or parents applying for children, but adult children can also apply for parents and siblings for other siblings, though these are lower on the priority list. Sweat: Companies can sponsor immigrants and eventually support their access to legal permanent residence. This avenue is generally reserved for specialized positions that cannot be filled by current U.S. citizens. Tears: Asylum seekers are fleeing violence in their home country. This is different from refugee status. Refugees apply from refugee offices in the home country and are offered resettlement support and certain benefits upon arrival. Asylum seekers apply once they arrive to this country and are given no benefits or support. This category is tricky because applicants must prove their life is in danger upon return, which can be very difficult. When we decided to get married, Billy’s parents applied for tourist visas to attend our wedding. We did everything “the right way.” They completed all the paperwork. They met all the stated requirements. They paid the fees. Still, they were denied, but encouraged to apply again. So they did, and they were denied a second time. They missed our wedding and the births of our two children. Eight years after we were married, they applied a third time, and my mother-in-law was granted a visa, while my father-in-law was denied once again. Because of the “Blood” avenue mentioned above, it would actually be easier at this point for us to apply for him to become a resident of the U.S. rather than a visitor, except for one thing: He doesn’t want to live here. What industries hire undocumented immigrants? So, so many. When we were dating, Billy worked in telecommunications for two companies whose names are widely recognizable. Of course, he was never on their employee list because big companies often work through contractors and subcontractors, who do the actual hiring. This structure allows parent corporations to claim they know nothing and are responsible for nothing. These workarounds allow companies in many industries to hire foreign workers. While my knee jerk reaction sometimes is to vilify these businesses, it’s actually just a testament to how our immigration laws do not work for anyone. I’m glad Billy had a (mostly) good job while we were dating. However, I also saw how workers without the protections of legal employment were exploited: not trained to use dangerous machinery, not paid on time (or occasionally, not at all), working obscene daily hours, and rarely given days off or breaks. However, when I traveled to D.C. to advocate for immigration reform, I was surprised to be surrounded by national leaders in fields like technology, agriculture, and food and beverage. All were asking Congress to pass working immigration laws. The current system makes it difficult for both companies and workers to follow the law. I know this because I was married to an undocumented immigrant. I saw his paychecks come home every two weeks, and I saw the line item deductions printed on his pay stub. I also know that, during that season, we mostly received tax refunds each April, but he was not able to file. Interestingly, the IRS actually provides a work around called the ITIN (Individual Taxpayer Identification Number), which is a tax number specifically for those without social security numbers. It is my understanding that some undocumented immigrants use this number to file, knowing that the IRS does not collaborate with immigration enforcement. I am unaware if this practice has changed as enforcement laws have changed, but I know we were too nervous to follow-up a potential refund this way and relied on our lawyer who processed our taxes, along with our immigration adjustment. I know there’s a lot I haven’t addressed here. And I know there’s much I’m still learning as I spend time with immigrants and as the national landscape on this issue continues to flux and change. I am doing my best to continue learning and to ask how I can love my neighbors as a Christ follower and one committed to advocating on behalf of the marginalized. If you’d like to read more of my husband’s and my story, you can do so here. Sarah Quezada is a writer and nonprofit professional living in a bicultural household in Atlanta with her husband and two kids. 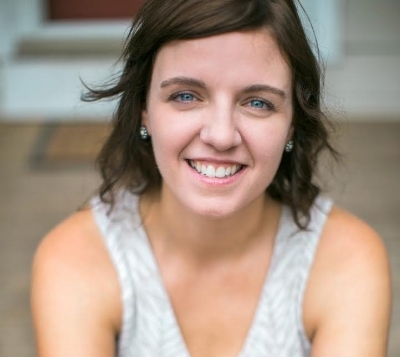 She has a master’s in sociology and writes regularly about social justice, family, and living across cultures on her blog, A Life with Subtitles. You can find her on Twitter and Facebook. Do You Live in a Good Neighborhood? 1. I live in a neighborhood which is full of scared and sad kids. Maybe you are not like me. Maybe you don't know anyone who is scared or sad about their family being ripped apart. If this is you, then I can't think of anything better than listening to the first 11 minutes of this podcast. You will meet a little girl who is trying very hard not to be scared. Maybe, just maybe, she can be the one to help you understand what God's kingdom is like, and that it is full of compassion and mercy. Click here to listen to the prologue of Vague and Confused, the most recent episode of This American Life (or download where ever you normally listen to podcasts). 2. There is a lot of debate about immigration, and this episode follows a very interesting (and complicated) case. I loved this podcast because it focuses on someone who is not the "perfect" case, and therefore throws some more complexities in there. Stick around until the end, when the hosts interview a libertarian economist who is both a Christian and is pro open borders (on both an economic and moral basis). Fascinating. Click here it listen to listen to the episode Encore Plus: Who is A Good Immigrant, Anyway? by CodeSwitch at NPR. 3. And finally, my husband and I started recording our long-talked about podcast where we discuss Adventures in Odyssey episodes. He's a huge AiO nerd and I am . . . not so much. Our third podcast discusses an episode set in Venezuela, and brings up interesting themes in regards to how our American evangelicalism has been shaped to intervene in inequalities and injustice elsewhere while willfully ignoring those that happen in our own country (discrimination, or health care, for instance). Listen along and see if you agree with us that American exceptionalism has been very damaging to our sense of morality. Click here to listen to A Mission for Jimmy. You can also subscribe to The Prophetic Imagination Station wherever you listen to podcast. Thanks for listening with me. If you have any podcasts/sermons to share, please mention them in the comments. To be honest, I feel overwhelmed at the task of learning about and sharing information on undocumented neighbors in the US. There is so much to learn. It is all very complicated. There are very large and very pervasive lies that are spread in order to increase fear and discrimination. It is clear that there is no one article I can point you to to convince you of anything; instead I just think about how there are millions and millions of stories, and each is so very different and unique. So perhaps we should start with some myths about immigration. I think probably the most common response to undocumented immigrants is: why didn't they just do it the legal way? But to be perfectly honest, at this point I feel like if someone is asking that question, then they probably do not want to know the real answer. Because the truth is, there are very few paths to citizenship for people from Mexico and other countries, and there are not even nearly enough temporary visas. Why is this? I don't have all the answers, but from all of my reading it seems clear that our economy is one that thrives on the shadows created by an immigration system that is inherently broken, unjust, and only enforced sporadically. It is unjust in that it only creates a few legal pathways for visas (and fewer still for citizenship) and yet depends on the labor of so many migrant workers. By only enforcing the laws (deporting people) sporadically, it makes examples of a few in order to keep everyone else without proper documentation living and working in fear. This means employers can threaten deportation while paying people poverty wages in horrific conditions, essentially meaning that many of our warehouses, factories, restaurants, and fields are filled with workers submitting to multiple human rights violations in order to make our economy run. My life, my food, my neighborhood, is built on suffering. And yet here we are, enjoying the fruits of underpaid labor, all the while vilifying the people who are working the hardest. Of course, another myth centers around crime. Why would we let all these violent people into our country? This is the message we have gotten from our President, and countless others. To be sure, there are violent offenders and people involved in criminal behavior who are unauthorized immigrants. But the percentage (3%) is lower than that of the average US citizen (6%). So it's not really about crime. It's about demonizing an entire group of people in order to gain political power, which is sadly one of the oldest plays in the book. Are we paying attention? Here's the truth: we have closed our doors to the vast majority of people seeking a way out of poverty, war, and famine. We capitalize on fear and monetize it. The people who cook our food sometimes don't have enough to eat themselves, and we don't know this because we live and operate in completely separate worlds. America is not a great nation, and it never ever was. It has always been a mess, full of promise and ideals and yet also built on the backs of dehumanization and exploitation the likes of which history has never seen. the restorer of streets to dwell in." I pray that one day, our foundations might be full of justice, instead of inequality. That we might honor those who work and live and raise families in our country, instead of oppressing and exploiting them, all the while claiming that God is on our side. Here's one woman's personal story of being an undocumented immigrant. Here's a website which talks about the complexities regarding the elusive (and fictional) "line" that people can get in in order to become a legal immigrant. Here's a NYTimes article that lays out the complexities pretty well (including crime statistics, and a breakdown of countries where undocumented immigrants are from).